Why Spend Time On Cybersecurity? Security does not add value to the company, people, or product. Why is Cybersecurity important? As our lives become more connected (not less). Our communications are on the Internet, our phone conversations are on the Internet, our devices that we keep on us and we depend on for business and pleasure have to connect to the Internet. If we connect to the Internet the problem is that we are also connected to all the digital criminals in the world. Ransomware can destroy our data and even ruin our businesses (40% of businesses were hit by Ransomware and 20% were forced to shut down). The problem with these digital criminal software makers is that like all software it does not act like it is supposed to. So sometimes when your data is encrypted and lost, it may not get decrypted even if you pay them. So the issue is if we do not pay any attention to Cybersecurity then eventually you will bump into the frailty of our digital lives. The simple truth is that the people who do not pay attention may not know they may go out of business if hit with a catastrophic Cybersecurity event. We are used to watching the news and in our connected world we see a storm coming where the storm is going to potentially destroy our buildings etc. But in Cybersecurity everything is below the radar, there is even a “Darknet” where the Digital criminal sells your information they stole. Didyou know that you are playing Cybersecurity Russian Roulette? Do you have a 500Barrel Gun or a 1000barrel gun? What is you risk level? Tells what size your Russian Roulette gun is. Well we have to find out what kind of software you have… and the vulnerabilities they have. Attack timeline vulnerabilities tell the story of how the criminal gets into your systems and inserts Ransomware. 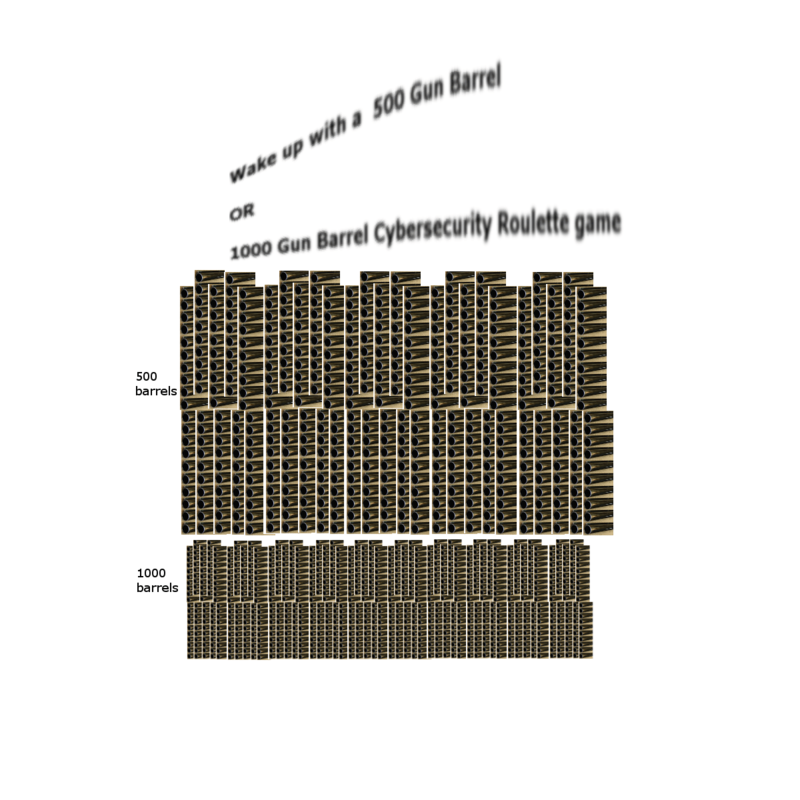 You are playing Cybersecurity roulette whether you know it or not. I know Cybersecurity is not simple, but you must start working on tackling it, or it will come to you soon enough. Contact me to create a risk management profile and move away from risky cybersecurity practices. Previous Previous post: Hacking, is it Like a Recipe?